Choosing the right CISM review course is one of the most important decisions you will make on your journey to become a Certified Information Security Manager. There are as many different kinds of prep courses as there are students with different learning styles. Successfully passing the CISM exam the first time will save you many hours of studying and the additional exam fees you would have to pay if you fail. Choosing the training course that work best for your learning style are an essential part of this process. Our mission at CRUSH is to help you succeed by finding the course that best fits your strengths and weaknesses. So here’s the good news: we have personally researched all of the best CISM review courses on the market to make things easier for you! Check out our comparison chart below to help you determine which one best fits your needs. Updated Content: Certified Information Security updates their CISM course information twice per year to better line-up with ISACA’s exam. Their up-to-date course includes 600 practice questions stemming from 52 practice exams. This helps students to be more accurate in their preparation and more comfortable with the latest version of the exam. Free Demo: They are so confident in their course that they let students have a free preview of the course. You can just click the “Preview Now” button on the course page and it will take you to the fully interactive CISM SuperReview. You will be able to view select lessons and even sample some of the practice questions that follow. 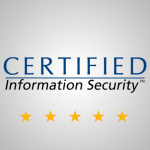 Earn CPE Credit: Certified Information Security Managers are required to earn 40 CPE credits each year to maintain their certification; this course can be counted towards those 40 credits. It is a flexible and affordable online solution to CISM continuing education requirements. Guarantee: Students will be allowed to retake the course at no extra charge, if they purchase the SuperReview and do not pass the CISM Exam within 6 months. Students will have to provide the proper notification of exam failure and meet other requirements to qualify for the guarantee. Student Support: Students can have their questions answered from renowned course instructor Allen Keele, either over the phone or through email. 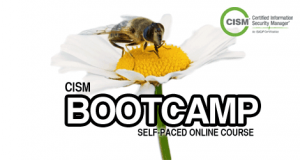 This is not a common feature among CISM training courses , but very beneficial. The Bottom Line: In addition to providing students with a wealth of material to help them study for the CISM exam, Certified Information Security is one of the rare few educational providers that offer a support team that is actually helpful. Practice Exams: I’m sure you’ve heard the phrase before, “practice makes perfect”. While that couldn’t be more true Simpli Learn incorporates 65 practice quizzes to ensure you learn all the material and don’t see the same questions twice. Video Lectures: Over 16 hours of video lectures that are easy to understand and break down the key concepts you need to know. Watch the vieo below to get an idea of the lectures. CPE Credits: SimpliLearn’s CISM counts towards your 40 Continuing Professional Education (CPE) Credits or 16 Professional Development Units (PDUs). This training can be a great way to keep up with your ongoing professional education requirements.out. The Bottom Line: Whether students are trying to pass their exam on their first try or are already established professionals that need to gain PDUs and CPE, SimpliLearn offers the materials to fulfill their educational needs. Chapter Quizzes: The comprehensive CISM review course covers all 5 domains present on the CISM exam with a quiz at the end of each domain. You are quizzed once you reach an interactive milestone to reinforce course topics and see where your knowledge needs improvement. Interactive Training: This CISM review course will prepare you for your exam with a variety of tools including full-motion video, printable materials, quizzes, and more that keeps you engaged. These tools are intended to give you an in-depth training experience. Taught by Kenneth Mayer, a leader in the field of Information Security, the interactive course will allow you to self-pace and re-visit lessons as many times as you like. Free Demo: Exam Practice offers a free demo of the CISM review course for you to test out the interactive lessons. 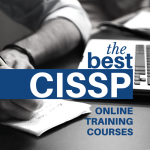 All you need to do is click the “Course Demo” button on the CISM course description page and you will have access to a handful of lessons to try out. Limited Practice Exams: While Exam Practice does offer quizzes as you study and reach certain milestones, this CISM review course does not offer practice exams. The point of practice exams is to allow you to check your knowledge in a test like setting that will prepare you for the actual exam day. The Bottom Line: Exampractice offers an enticing demo that does an excellent job introducing prospective students to their powerful learning tools, including interactive training and some practice quizzes. However, the lack of additional exams is concerning.